With its academic strengths, Washington, D.C., location, Jesuit values, and regional networks, Georgetown is a leading U.S. university engaged in Latin America. Faculty and students across research and teaching programs engage critical challenges facing the region, including economic growth and innovation, governance and the rule of law, social and cultural cohesion, and hemispheric relations. 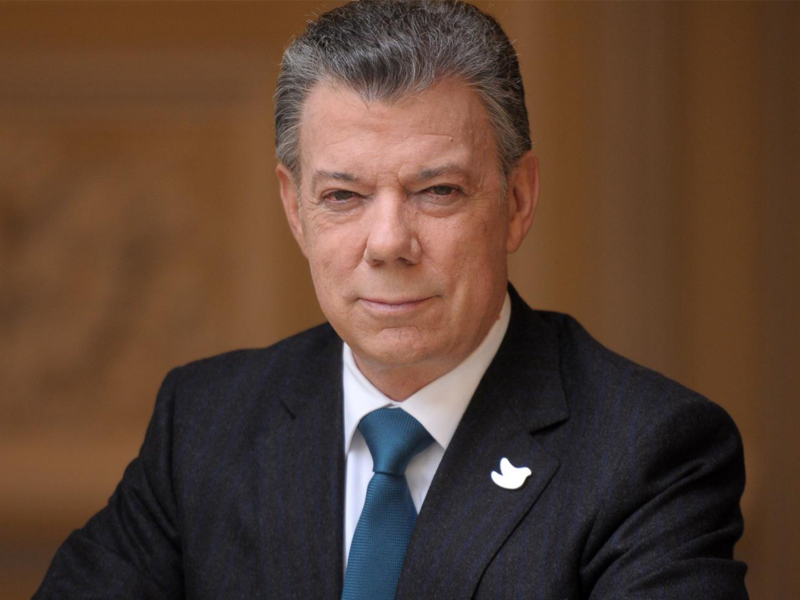 Santos spoke with Ambassador Jeffrey DeLaurentis (SFS’76) about peace-building in Colombia during his presidency, which led to the dissolution of the FARC and a Nobel Peace Prize. Julia Friedmann (SFS’19) is the first Georgetown recipient of the Pulitzer Center International Reporting Fellowship, offered annually through the Berkley Center for Religion, Peace, and World Affairs.